Wonderful excursion to discover the beauty of the most famous mountains in Europe. An unforgettable day in the middle of nature, history and culture of the dolomitic valleys. You will reach the altitude of 2.240 Mt. 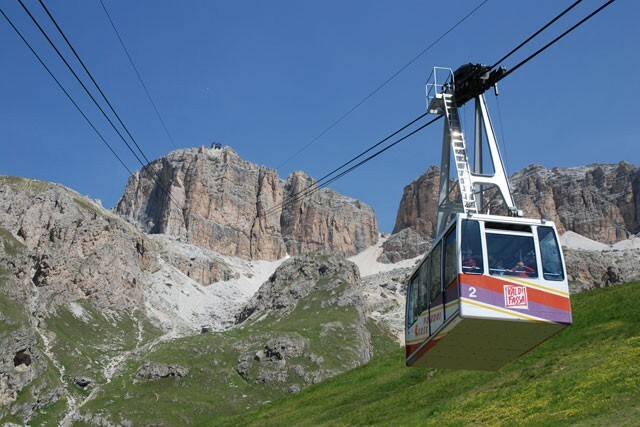 above sea level at the pass Pordoi where you will be able to enjoy the view of the famous peaks such as the Marmolada, the Sella and the Catinaccio chains. Here we will stop with free time for lunch. In the afternoon we will visit also some other tipical resorts such as Ortisei (wellknown for the wood-carvings). The intinerary might be changed according to the weatherforecast and the traffic.